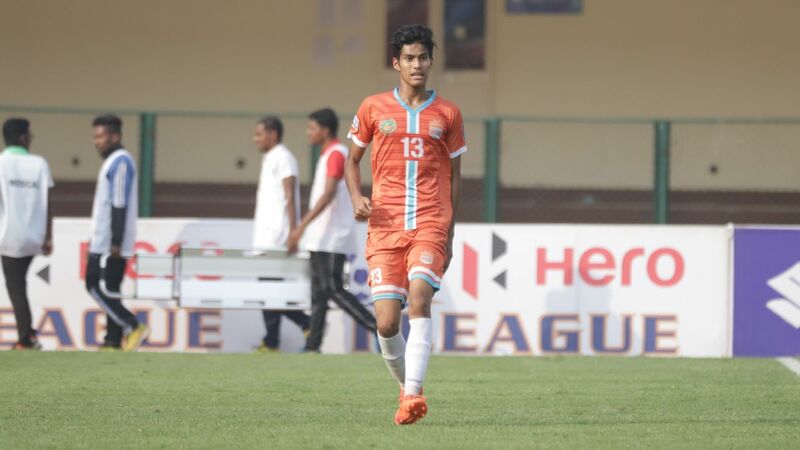 Gaurav, who scored the winning goals for Chennai City in their I-League title decider, wanted the day he received his I-League medal to be the "best memory" of his life, but missed the ceremony at Chennai's Taj Coromandel on March 20 as he was at his first national camp. The 'best memory' of his short career could well be preparing for bigger things. It is not how he had seen his year panning out. 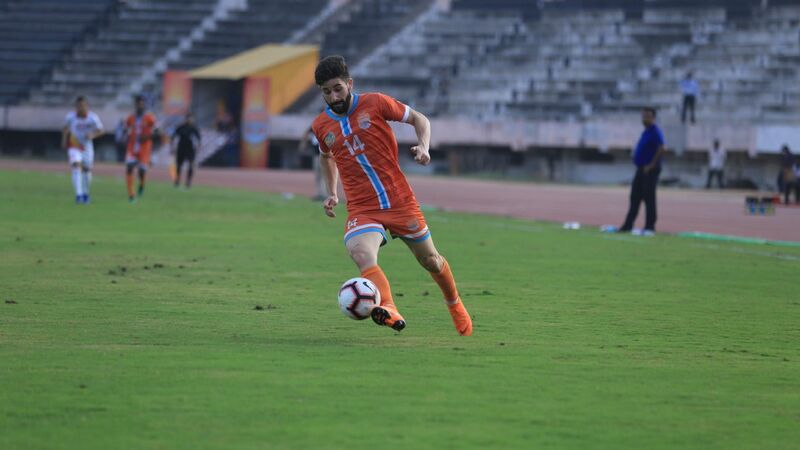 On loan to Chennai City for the second season in a row from ISL club FC Pune City, with four games to go and Chennai only two points clear at the top of the I-League table, Gaurav wasn't exactly feasting on confidence in early February. He saw the news of the Pulwama terror attack that killed more than 40 people in Kashmir and panicked. His mother, a Central Reserve Police Force (CRPF) sub-inspector, was posted in Srinagar, just 90 minutes away. It was a road she had travelled on several times to and from in the Valley. She told her anxious son, "What is meant to happen will happen." Those last four games would change Gaurav's life forever. He sat on the FC Pune City bench in the 2017-18 ISL season and played only seven matches for Chennai City on loan in his first season. This season, however, a change in coach and philosophy has made Bora the hottest prospect in India's defence. Much of it is courtesy of one famous goal. The night before Chennai City's final game, a must-win one against Minerva Punjab, the game that could define his future career, Gaurav couldn't sleep, worried about whether he could perform like he wanted to. "I didn't want to think, but I could not stop thinking either. The next morning I was like, 'when's the game starting, let's go, let's go, let's go.'" Gaurav will always be remembered as the guy who won Chennai the title. Scores level, 20 minutes to go and Sandro Rodríguez floated a ball into the box from a corner. "I was just watching the ball and I was running, and running." Then that rare moment in football happened, where even before the ball headed towards him, he saw in his mind's eye, "it's coming in my way only. And then I just connected." It was his first goal for the club, and he would add a second in injury time. 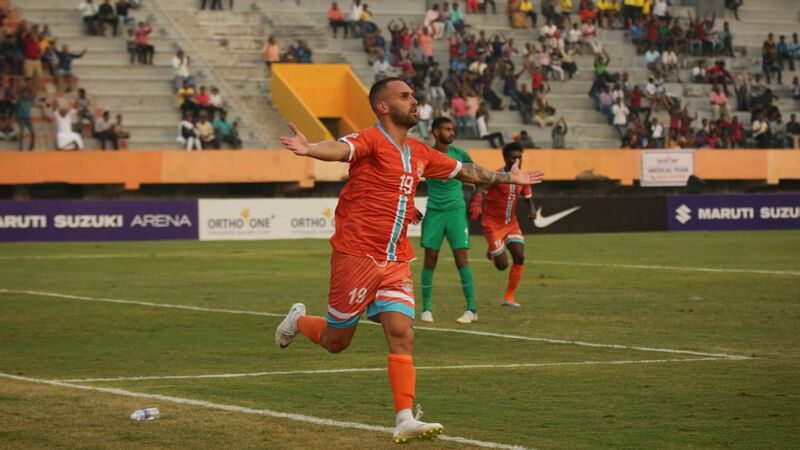 His first two goals for the club turned out to be the most important in Chennai City's history. One of the assistant coaches and part-time yoga teacher Bala Satyasagara had been asking Gaurav all season when he was going to score. 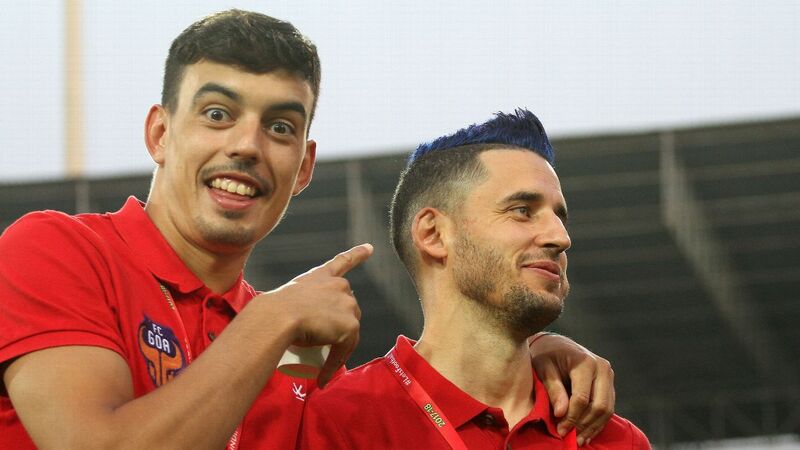 Bora confesses to a pact: "The day before the game, he (Bala) said 'if you score today, come running to me.'" Amid the madness of the moment, Gaurav kept his promise, and went on to give Satyasagara a hug, and then whispered in his ears: "I told you, I told you." India's U-23 coach Pereira was impressed, calling the 20-year-old a "prospect". "He's got the height, he's got that athleticism, the best part about him is he communicates with other players, organises the defence." Gaurav didn't start the season as he ended it. In a shocking performance in defensive midfield in the opening game of the season against the Indian Arrows (an AIFF junior side), he was taken off at half-time, with Chennai 1-0 down. He was moved to central defence alongside Spaniard Roberto Eslava in the following game, and would not miss another game all season. Asked whether working with Eslava helped, Gaurav yells at top volume: "YESS, YESS." In a pre-season friendly against Bengaluru FC, Gaurav found himself making errors. "I was going man to man, I was losing my position a lot of times." The older pro gave him a nugget of advice. Eslava asked him to maintain distance from the opponent and only go towards the player if he was going to get the ball. "If I am not 100% sure, then (I) stay in the position." While the Eslava-Bora partnership didn't make Chennai the meanest defence, their ball control and calmness under pressure gave them something extra. On the day Chennai won the I-League, Gaurav couldn't stop crying. 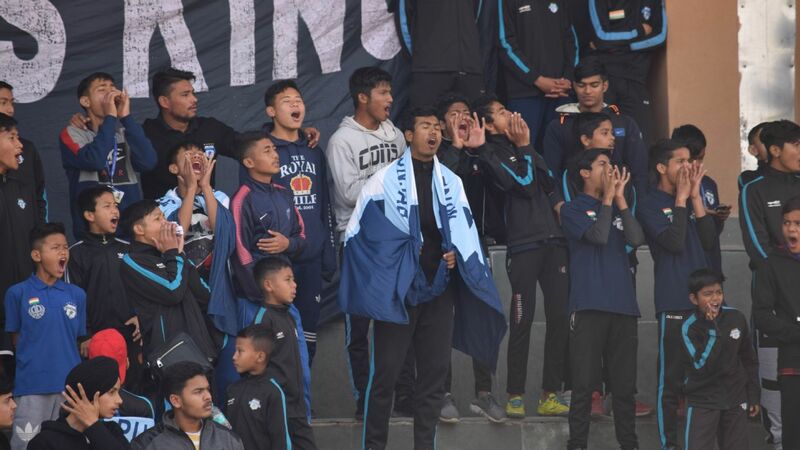 It was an event he had grown up watching, Shillong Lajong being his favourite team. "I am a bit emotional," he says. "I never thought of winning it." He is aware of being the first Assamese to win the I-League and join the likes of Halicharan Narzary and Vinit Rai as the boys from Assam who made it big. Newspapers from Assam called him, and the "Big Bora" - as his teammates sometimes refer to him - was the talk of the town. Post that dramatic I-League finale, Gaurav made a quiet return home to Delhi. His mom was in Kashmir and his dad, a retired head constable, in Nagaon, Assam. He celebrated by taking his friends out to watch his first movie in five months: Gully Boy. His Assamese background notwithstanding, Gaurav considers himself a Delhi 'gully boy', as it was there that he ran into football. At fifth grade, he was moved to the CRPF public school's hostel in Delhi as his parents were posted in different corners of the country. Football was central to the school's sports programme and Gaurav considers his school coach Sunil Patwal as the man who made him into the footballer he is today. "Everything till today where I am, he has done everything for me." Patwal introduced him to competitive football and then recommended that he join the Bhaichung Bhutia Football School (BBFS) in Delhi, which led to training stints at Rotterdam FC and Celtic. On the eve of his possible India debut, he is thinking about the madness that has taken over, over the past six months; but also about where it all began. "When I started playing, I never knew I was going to play here." Now that the league is won and his name is known, he says, he is told to remember, "A lot of players sleep (get complacent) after getting so much, they are not consistent enough. You should not look like it's all for one year. You have to keep doing this again and again. It should be, like, one of many. This one should be the first." Friday could be the 'first of many' times Indian football fans see Gaurav in a blue jersey.